The vegan diet is a popular lifestyle option and people choose it for many different reasons. For some, the idea may be a moral decision, while others may pick it to improve their health or even to lose weight. And, in many ways, a vegan diet truly can be healthy. After all, you’re following an approach that has a strong focus on whole foods, particularly fruit and vegetables. This may include powerful foods for health, such as kale, asparagus and swiss chard. As a result, vegans often end up getting a large range of plant-based nutrients, including powerful polyphenols that many of us don’t get enough of. Indeed, these types of plant-based nutrients are a key reason why people take herbal supplements for health, such as ashwagandha root and even things like tart cherry, ginger and turmeric supplements. But, it isn’t all good news. Being a vegan does significantly limit the foods you eat. In turn, this decreases how much you get of some nutrients, including vitamin B12. Indeed, finding good vegan vitamin B12 sources can be tricky, especially as this nutrient is primarily found in animals. At the same time, a vitamin deficiency is a serious problem. After all, various nutrients do play key roles in our bodies. This is why situations like a vitamin D deficiency are so serious. Likewise, it’s critical to get enough of other compounds, like vitamin K2, calcium and magnesium. So, why are we looking at the best vegan vitamin B12 sources? After all, there are many different vitamins and minerals that people need to pay attention to. Well, vitamin B12 plays a number of significant roles in the body, including maintaining the health of blood cells and playing a part in DNA production (1). This makes it extremely relevant to health overall. At the same time, it’s something we typically get from meat and animal products. For that matter, vitamin B12 doesn’t naturally occur in most plants and that includes options like dark chocolate and olive oil (2). As a result, many vegans end up being deficient in vitamin B12, unless they pay close attention to their diet. To make matters worse, vitamin B12 deficiency can be dangerous. For example, it can contribute to digestive issues, low energy, anemia or tingling and numbness (3,4). It’s easy to see how the long-term impacts of this type of deficiency could be especially damaging. Now, thankfully, you don’t need a large amount of vitamin B12. For adults, the recommended level is between 2.4 and 2.8 micrograms, depending on your gender and whether you’re pregnant or breastfeeding (5). Thankfully, there are vegan vitamin B12 sources out there and these don’t just include supplements either. For the most part, you don’t have to worry about overdosing on vitamin B12 and supplements tend to be safe (6). Nevertheless, you do still need to pay attention to the instructions if you do supplement and make sure you don’t consume more than the recommended dose. Likewise, you shouldn’t be taking multiple vitamin B12 supplements at once. Still, there are a number of good options and getting enough vitamin B12 in your diet truly is critical for health. Tempeh is a traditional soy product and a great source of vegan protein in its own right. Now, tempeh may not be as popular as tofu but it is more appealing to many people. In particular, tempeh does tend to be less processed than tofu, which can be reason enough to use it. Additionally, tempeh has undergone fermentation. That process has significant implications for health, as many fermented foods can help to promote the growth of healthy gut bacteria. Now, the fermentation process does produce some vitamin B12 – although there isn’t a large amount. In particular, 100 grams (around 3.5 ounces) of raw tempeh offers around 0.1 micrograms of vitamin B12 (7), while the same weight of cooked tempeh contains around 0.2 micrograms (8). As mentioned earlier, estimates suggest that you need around 2.4 to 2.6 micrograms per day to stay healthy. So, tempeh is only ever going to make up a small proportion of that. Likewise, you shouldn’t try to consume an excessive amount of tempeh daily to get your vitamin B12 that way, as it contains phytoestrogens, which can be bad in high quantities (9). Still, getting some of your vitamin B12 from tempeh can make sense, especially if you are focusing on your gut health anyway. In some cases, vitamin B12 can also be found in mushrooms. However, this is strongly related to the specific variety and most don’t contain much at all. Of these, the highest source of vitamin B12 is shiitake mushrooms, which potentially offer up to 5.6 micrograms per 100 grams of dried mushrooms. The other varieties contain considerably less (10). So, theoretically you could get your daily intake of vitamin B12 from as little as 50 grams of shiitake mushrooms. However, actually consuming that much would be extremely difficult. In particular, shiitake mushrooms can be fairly hard on your digestion and you’d probably feel very sick eating 50 grams, even if you cooked them well. Besides, this certainly wouldn’t be a good approach on a daily basis and you probably couldn’t sustain the practice in the long-term. It is also worth mentioning that the research into vitamin B12 in mushrooms is limited. As a result, more information is needed before we really know whether mushrooms are a good source of vitamin B12. This type of product is created by culturing yeast for a few days and then stopping the growth. Typically, this is achieved within a sugar-based fluid and the end result can be beneficial for health. Now, yeast itself doesn’t actually contain or produce vitamin B12. However, nutritional yeast does tend to be fortified with vitamin B12, which makes it so relevant for anybody looking for vegan vitamin B12 sources. At the same time, nutritional yeast is a useful component of a vegan diet anyway. This is partly because of the flavor, as the yeast has a nutty and cheesy taste. Because of this, it is frequently used in non-dairy cheese-like recipes, such as macaroni and cheese or as a pizza topping. There are many good brands out there, but one good place to start is Bragg, which produces a very popular option. In particular, one tablespoon of this yeast offers 40% of your RDA for vitamin B12. Plus, it is also vegan and soy free. The brand is also an appealing one in its own right and is especially well-known for apple cider vinegar. Another interesting source of vitamin B12 is almond milk. Now, as I mentioned earlier, plants don’t naturally contain vitamin B12 and almonds are no exception. However, some brands of almond milk are fortified with vitamin B12. In some ways, this is no surprise, as almond milk is often viewed as a health drink. So Delicious is one such brand that fortifies with vitamin B12, but there are others too. It may be a matter of shopping around to figure out which brand works best for you. In a similar way, some brands of cereal are fortified with vitamin B12. For that matter, there is an argument that this type of fortification should be mandatory, although it isn’t currently (11). The practice is hardly unusual and many of the nutrients in cereal come from fortification. As a general rule, brands that focus on health will often be fortified, including with vitamin B12. Raisin Bran is one example of this. Fortification is mostly found in the more mainstream brands, so you won’t typically find it in organic options or anything that emphasizes being natural. After all, fortification does involve artificially adding in nutrients and not all companies like the practice. The practice of fortification is common for a range of nutrients, including vitamin B12. As a result, there are many other foods that are fortified with it. Indeed, this practice has become particularly common because so many people rely on plant-based diets. In particular, you will often find that foods specifically targeted at vegans may be fortified, such as soy milk and meat substitutes. For meat substitutes, the Yves brand can often be a good choice, as many of the company’s products are fortified. Vitamin B12 is also sometimes included as an ingredient in other types of products, such as energy drinks, Berocca and similar options. This pattern is based on the idea that B vitamins (including B12) help to promote energy – although the research for that outcome isn’t especially strong (12). While they may be another source of vitamin B12, this type of product typically isn’t a good idea, even though some are vegan. After all, energy drinks like this do tend to be high in sugar and aren’t necessarily good for you, especially in the long-term. Nori is the name for edible seaweed from Japan and this is also sometimes called laver. Now, as a general rule, eating seaweed is considered to be healthy, especially as it contains some compounds that won’t be present in land-based plants. However, nori is controversial when it comes to vitamin B12. In particular, nori doesn’t actually contain vitamin B12 directly. Or, at least, it contains a different form of vitamin B12. The current debate is about whether or not the compound is treated like vitamin B12 within the human body. Some research suggests that it is (13,14), although the outcome is just specific to two types of seaweed (dried green nori and dried purple nori) (15). What this means for health is difficult to know. As the topic is still under considerable debate, you probably shouldn’t rely on nori to get your RDA of vitamin B12. Nevertheless, the seaweed could still be a good addition to the diet, especially as it is likely to offer other health benefits as well. There are many options for consuming this type of seaweed regularly but one interesting one is a product known as SeaSna﻿﻿x. Even though the bag doesn’t say so, the company’s site does confirm that the seaweed is the type that you would be wanting (16). If nothing else, the product could be a low-calorie vegan snack that may offer some health benefits as well. This is another controversial area and the reasons are much the same as for nori. In particular, both spirulina and chlorella produce an analog of vitamin B12. While there are similarities, this compound may not be absorbable by humans (17). However, the research in this field is still ongoing. For example, some research has suggested that there are vitamin B12 analog levels that are relevant to human health (18,19). But, it still isn’t clear what effect, if any, that compound has on human health. Likewise, the levels vary dramatically, making both forms of algae an unreliable source of vitamin B12. As such, you may turn to chlorella or spirulina for health benefits but you shouldn’t rely on them for your vitamin B12 intake. As this list shows, there are vegan vitamin B12 sources but not many of them. Additionally, most of these sources are limited in the amount of vitamin B12 they contain and many are also controversial. As a result, they may be best as additions to the diet but not as your primary source of vitamin B12. Now, many of the items on the list do come with their own health benefits, so you shouldn’t ignore them completely. But, when it comes to avoiding vitamin B12 deficiency, many people find that they have to turn to supplements. To a degree, supplements tend to be controversial as well. Some people have no problems with them and like the idea of nutrients in a pill form. However, others would much rather rely entirely on natural compounds. In the case of vitamin B12, supplementation truly does make the most sense. Realistically, there simply are too few other options, especially as vitamin B12 is primarily produced by animals, not plants. However, it is worth noting that absorption is limited with any type of supplementation (20). Despite the marketing of companies, this problem appears to be the same regardless of the form of vitamin B12 that you take (21,22). The most logical way to get vitamin B12 into your diet is through specific vitamin B12 supplements. Even if you do heavily rely on the various fortified foods and other options, you may still not be getting enough vitamin B12 through your diet. For that matter, you should really be taking a supplement even if you don’t especially like the idea. Thankfully, there is no shortage of options on the market. Some of them focus on the various forms of vitamin B, such as the example below from Garden of Life. In contrast, others only offer vitamin B12. This may be in the form of a supplement or as liquid drops, as in the example below. Multivitamins are the other direction that you can go in. Here, you’re looking at a supplement that contains a range of different vitamins and minerals. Theoretically, multivitamins can be good for health. After all, they do help fight multiple deficiencies at once. Doing so may be especially attractive for anybody on a vegan diet, as there may be other nutrients that you are lacking. Still, in themselves, multivitamins don’t directly offer health benefits. So, if you are already getting enough nutrients in your diet, they aren’t likely to do anything for you at all. For that matter, high levels of specific vitamins (such as vitamin E) can actually cause harm rather than advantages (23). In most cases, you’re going to be better off getting your nutrients from your diet, not from supplements. There are exceptions of course. Vitamin D is one, especially as this deficiency is prevalent even among people with healthy diets and lifestyles. Because of this many people supplement with vitamin D. In a similar way, vitamin B12 supplements are one of the key vegan vitamin B12 sources. Nevertheless, that just suggests that you should use vitamin B12 supplements rather than multivitamins. Realistically, multivitamins are only a good idea if you are likely to need other nutrients as well. There are many interesting options if this applies to you, such as the example below. There are also some products that act as multivitamins, even though they technically aren’t. A key example of this is meal replacement shakes, such as those from 310 Nutrition. In that case, the shakes contain 30% of the recommended daily intake for vitamin B12 and they are also vegan. 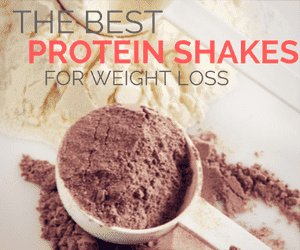 There is considerable variation between different shake brands in a range of areas, including the flavors they offer, the specific nutrients and whether or not they are vegan. As such, you may have to do some shopping around to find out the best one for you. However, 310 Nutrition isn’t a bad place to start and another brand to consider is Vega One. You can also find details about vegan shakes elsewhere. For example, the site Nutri Inspector highlights some other popular and effective brands. However, as with multivitamin supplements, many of the nutrients in this type of shake probably won’t help you. Realistically, taking in extra nutrients is only going to be relevant if you are not getting enough of them to begin with. This means that it’s important to weigh up whether the product helps you or not. Still, at the end of the day, the most common vegan vitamin B12 sources are supplements of some form. There simply aren’t all that many alternative options and those tend to be controversial or have low levels of vitamin B12. You can also turn to vegan posts and discussions for more details on getting enough nutrients in your diet. For example, the site Vegan Coach offers a useful Vegan Whole Food Nutrition Guide. The Vegan RD also offers tips about how to stay healthy and happy while following a vegan diet. The comments thread on that article also offers useful insight into what you can expect.